Marvel Studios generally tends to be secretive about its upcoming projects, but news and rumors about the sequel to 2017's Spider-Man: Homecoming are beginning to spill — including the name. In June 2018, Spider-Man: Homecoming star Tom Holland — who's building a reputation as a spoiler machine — revealed that the title of the sequel will be Spider-Man: Far from Home. It's an interesting title and, from what we know, a fitting one. Considering the use of "home," it suggests drastic change in Peter Parker since Homecoming, which would be unsurprising considering his experiences during Avengers: Infinity War. It speaks to the global setting Marvel Studios president Kevin Feige says Far from Home will feature. Finally, to those still at least a little heartbroken over Peter's fate in Infinity War, it probably also reminds them of where their hero was when Thanos' purge found him. We know a lot more than we did in 2018. Rumors have been confirmed, others have been debunked, and the increased media push has given us a look at new outfits and villains. But there's still a lot that Marvel Studios is keeping secret. 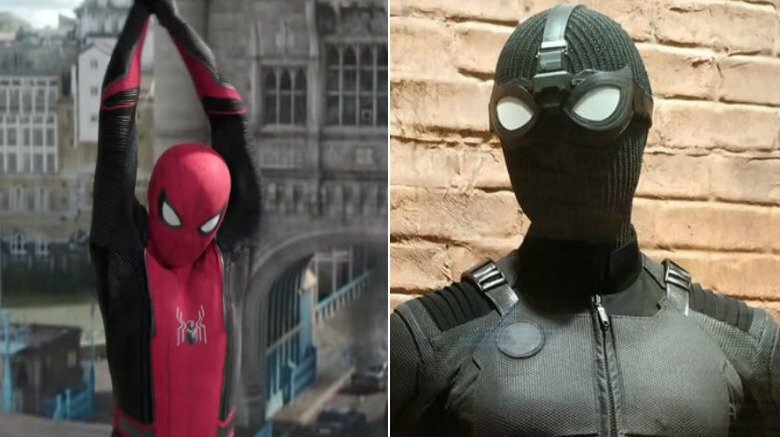 Here's every Spider-Man: Far from Home rumor and spoiler leaked so far. In May 2018, reports surfaced that Jake Gyllenhaal was in talks to play Spidey villain Mysterio in the second Sony/Marvel Studios Spider-Man film. In late June, Kevin Feige clarified that those rumors weren't confirmed, but we now know Gyllenhaal will be playing the illusionist villain in July's Spider-Man: Far from Home. 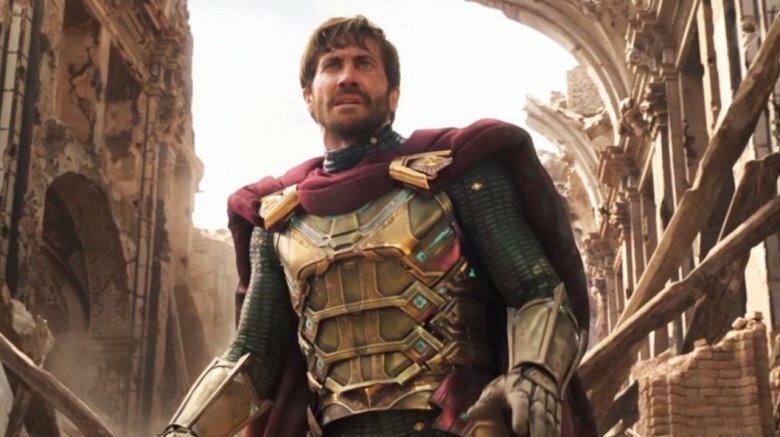 Gyllenhaal revealed his reasons for agreeing to take the role in early 2019, saying he'd been asked for a while whether he was going to get his feet wet in the world of superhero movies and calling Mysterio a "great character." He went on to say he'd been looking for a role that matched his skill, "and also what I love and my own honesty." Gyllenhaal's casting as a villain in a Spider-Man film is ironic considering the star almost played the webhead himself in an earlier sequel. Gyllenhaal was offered the possibility of replacing Tobey Maguire in 2004's Spider-Man 2, but Maguire and director Sam Raimi came to an agreement before Gyllenhaal could swoop in. Mysterio, a classic Silver Age Spider-Man villain who first appeared in 1964's Amazing Spider-Man #13, is a special effects professional who uses his skills to create illusions. Considering what CGI is capable of these days, the character's abilities have amazing visual potential on the big screen. One widespread — but unconfirmed — rumor holds that Matt Damon was approached to play a villain in Spider-Man: Far from Home, but passed on the offer. The report came from The Tracking Board's Jeff Sneider. Some speculate that, should the rumors prove true, the less-than-ideal experiences of Damon's long time friend and colleague Ben Affleck with the superhero movie genre were a big influence on Damon's thumbs down. Others suggest that since Damon is used to playing heroes, he's holding out for a good guy role (but come on man, even Arnold played Mr. Freeze — though that's probably not a very motivating example). Regardless of why he allegedly refused, it could be funny in a slightly metafictional way. 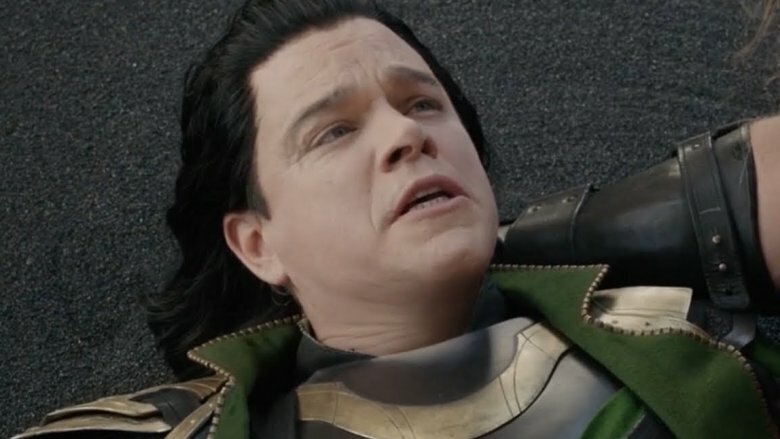 MCU fans should remember that Damon appeared briefly in Thor: Ragnarok as an actor portraying Loki in a stage play about Loki's "heroic death" in Thor: The Dark World. It was never revealed whether Damon was supposed to be playing an Asgardian actor or if he was supposed to be playing himself. It wouldn't be beyond Loki's power to recruit a famous Earth actor to play a stage version of Loki, and it certainly wouldn't be beyond his ego to desire such a thing. If that were the case? Well, then that means Loki could book Matt Damon, but Marvel Studios couldn't. According to Kevin Feige's interview with io9, one of the reasons for the title Spider-Man: Far from Home is that — unlike every other live-action Spider-Man film — the sequel won't take place chiefly in New York City. Instead, Feige said Spidey will "spend some time in New York, but he'll spend time in other parts of the globe." At the time Feige didn't reveal exactly which parts of the globe Peter Parker would visit, but London seemed a likely candidate. In a subsequent i09 June 2018 interview, Feige revealed the reason for Parker and his friends globetrotting: summer vacation, though he was notably vague about exactly when that summer vacation took place. "We know it's the summer," he told i09. "I don't know what summer… I mean, I do [but you don't]." Regardless, with this news we know Spider-Man: Far from Home will further showcase Marvel's commitment to feature more diverse settings in their films. Since 2015's Avengers: Age of Ultron, many of their releases have taken place partly or even primarily in non-U.S. settings, including Captain America: Civil War, Doctor Strange, and Black Panther. In late May of 2018, a rumor with some specific details surfaced on Reddit, posted by a user named "AHarbingerOfStuff." Citing only a "reliable source," it offered a breakdown of the Homecoming sequel that included Peter Parker traveling to London for some kind of conference, Mysterio as the main villain, Scorpion and Vulture in minor roles, and the introduction of Alistair Smythe, a.k.a. the Ultimate Spider Slayer in the Marvel comics. 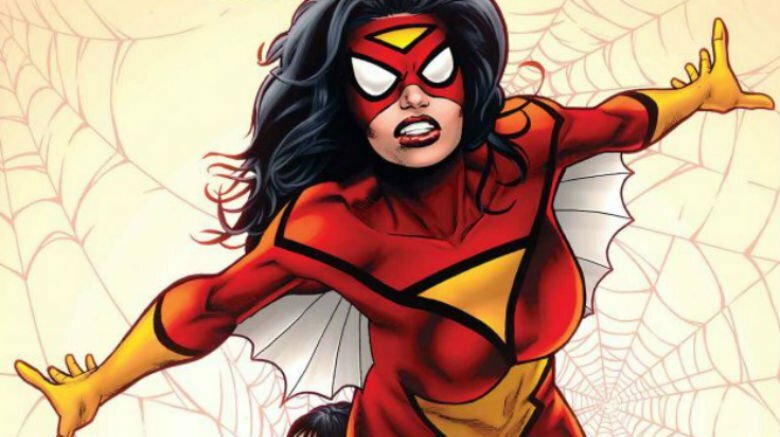 Among other details, the user claimed there would be an MI6 agent in the film named Jessica Drew — a name comics fans will recognize as the secret identity of the original Spider-Woman. Enough of the post's details seem to line up with what actually has been confirmed about Spider-Man: Far from Home to at least not dismiss it out of hand — although it gets at least one thing wrong, predicting that the title would be Spider-Man: Field Trip. Still, it's possible Spider-Man: Field Trip was the film's working title before Far from Home was chosen. There are certain noteworthy details missing from the post, however. 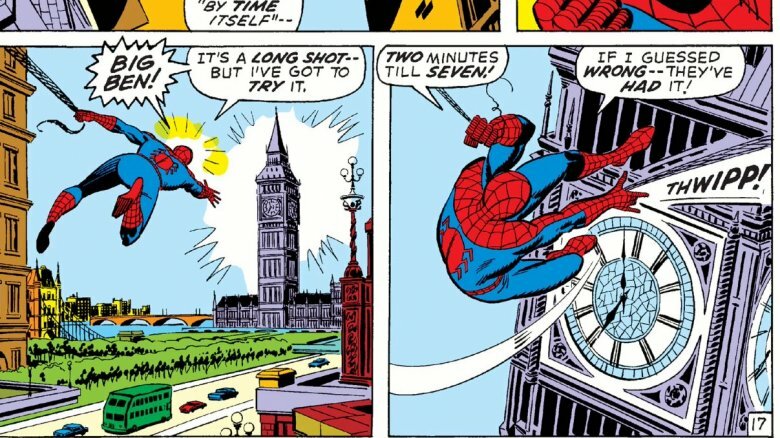 While the user mentions London, he doesn't talk about any other countries Spider-Man travels to. While he mentions Gwyneth Paltrow supposedly returning as Pepper Potts, there's nothing about the reports that another MCU hero — who won't be Iron Man — will appear. According to Variety, Michael Keaton's Vulture isn't done with Peter Parker just yet. Keaton's reportedly set to reprise his role as the villain, who'll be working alongside Mysterio in Spider-Man: Far from Home. When we last left him in the mid-credits scene of Spider-Man: Homecoming, he was in prison, but apparently that might not be the case much longer. The report doesn't say how prominently Vulture will be featured, but it's already fueled speculation that the films are building toward an introduction of the Sinister Six. Vulture isn't the only Homecoming alumnus reported to return. We're also expecting to see Marisa Tomei as Aunt May, Zendaya as MJ, and Jacob Batalon as Peter Parker's best bud Ned Leeds. Any fans of Homecoming worrying that a new creative team will move in and mess up the flavor can put those fears to rest. Jon Watts is returning as director of Spider-Man: Far from Home, along with screenwriters Jonathan Goldstein and John Francis Daley. In June 2017, The Hollywood Reporter said that another already established hero would be joining Spider-Man in Far from Home — and it wouldn't be his MCU mentor Iron Man. If true, then the next question is who it'll be. Normally, Captain America could be a good guess, but considering Chris Evans has made it pretty clear he's saying goodbye to the role after Avengers 4, that seems unlikely. Nerdist's Eric Diaz has speculated that a perfect choice would be Bruce Banner, a.k.a. the Hulk. Considering the love and genius Parker and Banner share for science, Banner might very well be a good replacement as father figure/mentor — though it seems likely the Hulk's reaction might be a little different. On the other hand, if the director has his way, it appears that we'll likely see someone quite a bit different from any of those choices. 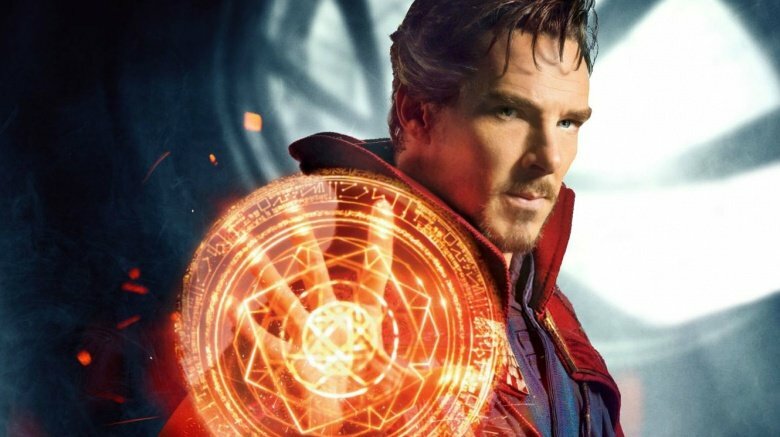 While we still don't know what other already established MCU character will be appearing in Spider-Man: Far from Home, one hero who has fallen out of the running is Doctor Strange. Speaking to /Film, Kevin Feige confirmed the Sorcerer Supreme will not be appearing in Far from Home. When interviewer Peter Sciretta expressed surprise to get such a direct answer from the Marvel Studios president, Feige said, "I could be coy about it, but no." While Feige confirmed Tom Holland and Benedict Cumberbatch won't be teaming up this time around, he hinted that a future team-up may have already been discussed. "I don't want to get people excited," Feige said. "But Benedict and Holland have liked the idea of working together." Any future team-up, besides another Avengers film, would be something of a departure for either franchise — whether it was realized as Doctor Strange starring in a Spider-Man film, or Spider-Man starring in a Doctor Strange sequel. Considering both possibilities, Strange in a Spider-Man movie seems the more compelling choice. If Spider-Man were to find himself against a foe with more mystic ties, it would make sense for him to turn to Strange for help. Whereas unless Strange is fighting demons who habitually rob banks or steal cars, why would he call Spider-Man? For laughs? Speaking to ScreenRant in June 2017, director Jon Watts said he wanted to see other Avengers in the Spider-Man: Homecoming sequel. The first hero to spring to mind was Black Widow. "I like to think of what he could learn from Black Widow," Watts said, "but then I think he would be too nervous to even get a single word out." Having Black Widow appear in a Spider-Man film has some interesting potential. She certainly boasts some dark, bloody experience that would stand in stark (no pun intended) contrast to the mentoring Spidey's received before. And as Watts said, Parker would definitely be intimidated by the former assassin in more ways than one, which would doubtless lead to a lot of big laughs. 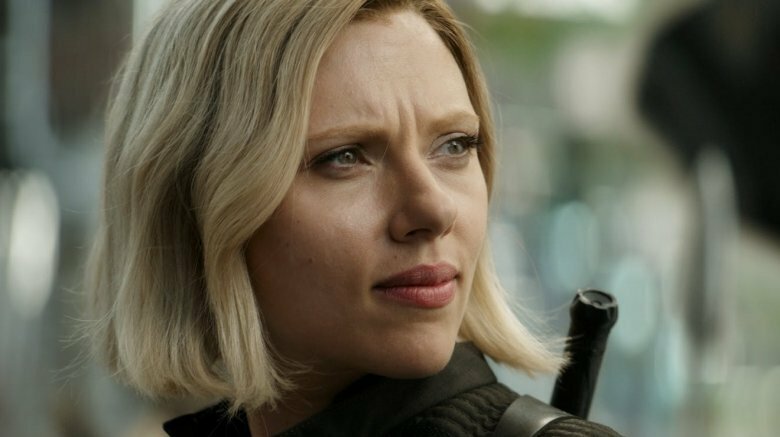 Considering the recent news about movement on a Black Widow standalone film, it's tough to tell whether that would have any impact on Scarlett Johansson appearing with Tom Holland in the Spider-Man: Homecoming sequel. It could be that Far from Home will be used to set up whatever we'll see in Black Widow. On the other hand, maybe Johansson is tired of playing second fiddle in other Marvel heroes' movies. While promoting Ant-Man & The Wasp, Kevin Feige told Collider that filming on Spider-Man: Far from Home would begin in July 2018, roughly a year before its scheduled release. With cameras rolling, we should expect more rumors, spoilers, confirmations, and debunkings over the coming months. Far from Home's July 5, 2019 arrival — only two months after Avengers 4 — puts it in an interesting spot. 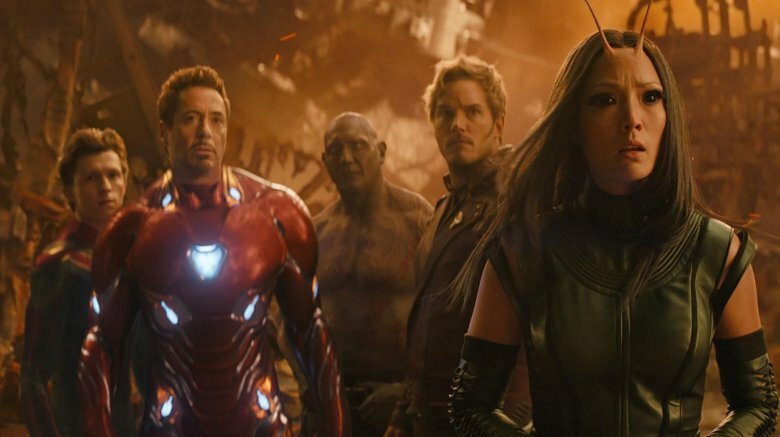 Its relation to Avengers 4 suggests it'll be much more defined by its position in the MCU than its predecessor. Homecoming wasn't particularly impactful, as far as the overall Marvel narrative of the time was concerned. There were no Infinity Stones and nothing in it directly affected the events leading into Avengers: Infinity War. But Far From Home's relation to Infinity War suggests the Spidey sequel will be much more relevant to the narrative to come. 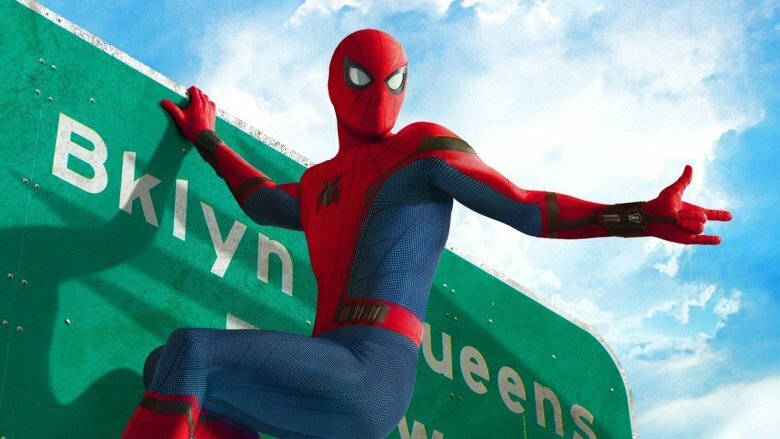 Not only does it kick off Phase 4, but producer Amy Pascal said in June 2017 that Far from Home opens "a few minutes" after the resolution of Avengers 4 — another sign that whatever Peter Parker is doing in his travels around the globe, the aftermath of Avengers 4 likely has something to do with it. 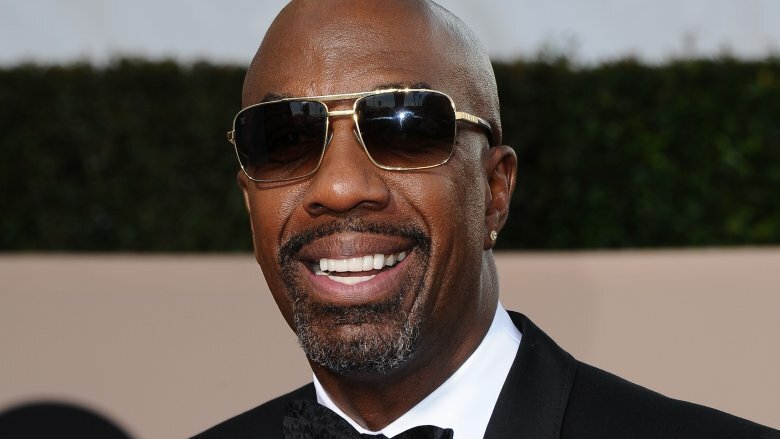 In July 2018, Deadline reported that actor and comedian J.B. Smoove had joined Spider-Man: Far from Home's cast in an unspecified leading role. At this point it's too soon to predict who Smoove has been tapped to play. With so little confirmed about the film, there are too many possibilities to nail anything down. He could be playing a teacher, a family friend, or perhaps a love interest for Aunt May. We already have reports of multiple supervillains in the story, but with some speculating Far from Home might introduce the Sinister Six, Smoove could very well be yet another bad guy. Considering one of the roles Smoove is best known for is that of Leon on Curb Your Enthusiasm and his film and TV credits include mostly comedies like Hall Pass, Date Night, and Mr. Deeds, it seems likely that whoever he's playing, they'll be there to bring the belly laughs. 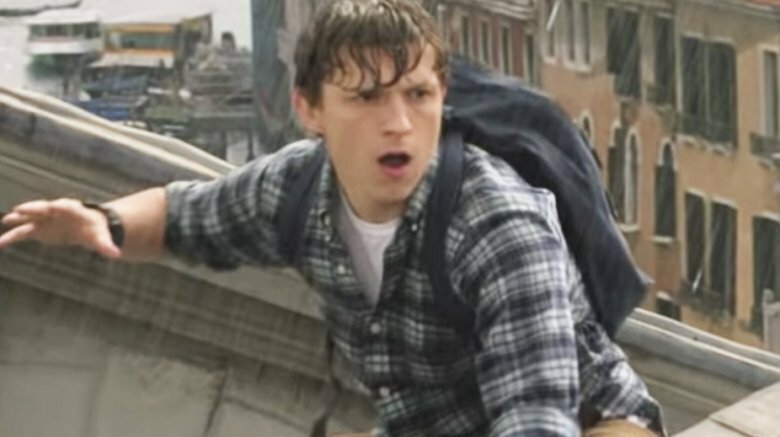 While talking to IndiaWest about her past work and future dream projects, Spider-Man: Homecoming costume designer Louise Frogley dropped a spoiler that Peter Parker could be taking new costumes into battle during Spider-Man: Far from Home. When asked in June if she would be working on the sequel, Frogley said she wouldn't, but added, "The costumes will have very big changes because, in the film, Spider-Man becomes more like a man and not a teenager." In the months that followed we got to see these more "mature" costumes. In September 2018, Daily Spider-Man shared a blurry set photo showing a new, darker Spider-Man suit. It wouldn't be until December 2018 that the stealth suit was revealed in its full, not-blurry glory at the Brazil Comic-Con (or CCXP). 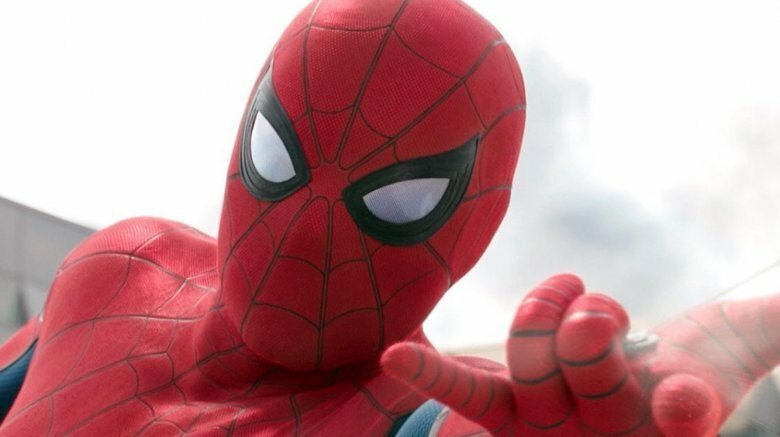 But Spidey's more classically inspired costume was revealed by Tom Holland himself on an October 2018 episode of Jimmy Kimmel Live! when Kimmel's security guard Guillermo ran around stage with a Spider-Man mask yelling "pew pew" and making like he was shooting webs. Holland — with his new Spidey suit minus the mask, which was replaced with an orange traffic cone — stumbled on stage and chased Guillermo. In an interview with Birth.Movies.Death. 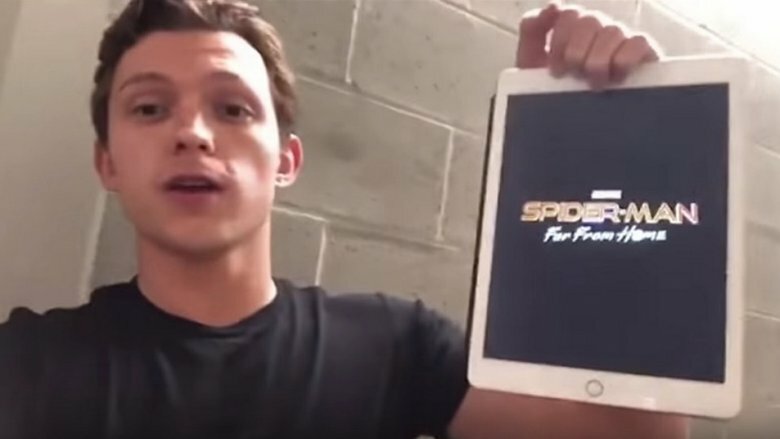 that took place hours after Tom Holland leaked the title Spider-Man: Far from Home on his Instagram account — while jokingly apologizing that there was no big news about the sequel to report — Marvel Studios President Kevin Feige confirmed that the leak was intentional and strategic. Feige told interviewer Russ Fischer that the title was about to go "out into the world in various forms," and those forms offered the potential for the title to be leaked. Rather than let someone else do the deed, "Mr. Holland took it upon himself to leak it for us." Considering Holland has become known among various MCU actors as the biggest spoiler machine in the Marvel Universe, choosing him for the job was fitting — and probably the most believable if you want to fool fans into thinking it wasn't on purpose. 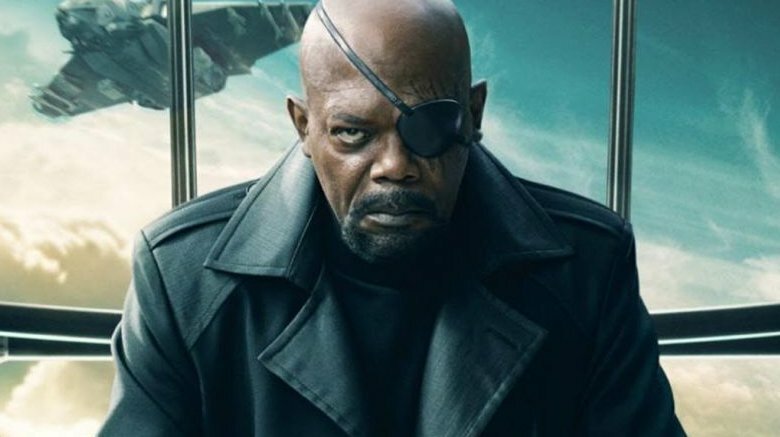 In July 2018 when Samuel L. Jackson posted some spoilerific pics on his Instagram, it wasn't confirmed he would be reprising his role as Marvel spymaster Nick Fury in Spider-Man: Far from Home. But the hints weren't subtle. The pictures showed Fury's eyepatch, his facial hair, Jackson made up with Fury's scarred eye, and a business card from S.H.I.E.L.D. bearing a title that wouldn't surprise anyone who's seen Pulp Fiction. His location for the post was listed as the United Kingdom, where Spider-Man: Far from Home had just started filming. 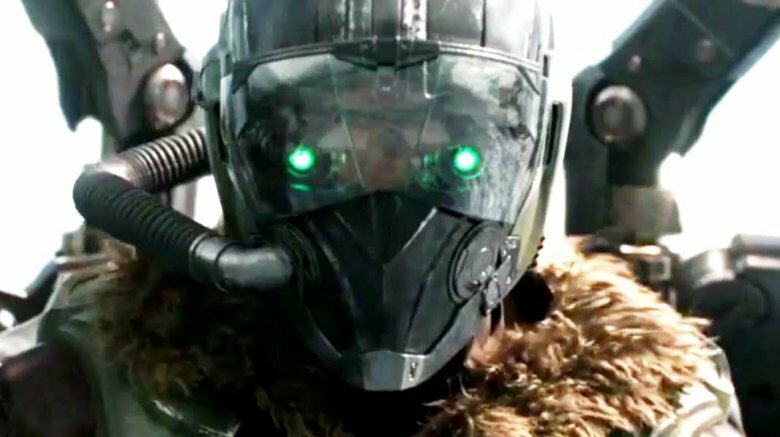 If the hints weren't obvious enough, the following month Vulture confirmed Jackson would be appearing as Nick Fury in Far from Home, though there's still a little bit we don't know — like whether Nick Fury is the already-established MCU hero who was reported to be appearing alongside Peter Parker, or if there's still another guest star who hasn't been revealed. Numan Acar = The Chameleon? 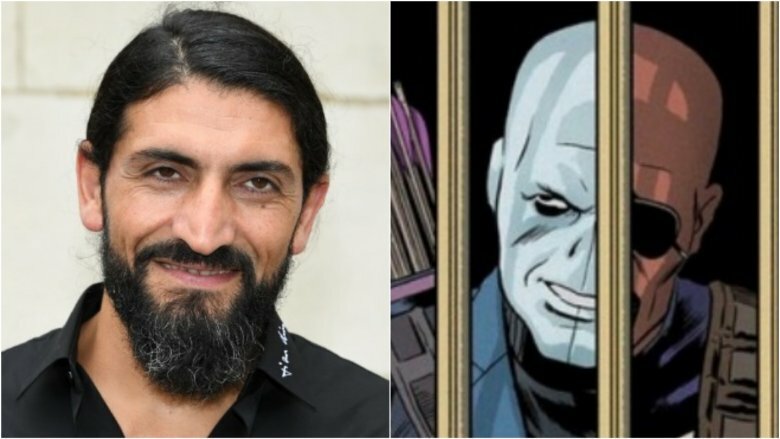 In July 2018, Deadline reported that Numan Acar (Homeland, Prison Break) was cast in Spider-Man: Far from Home. The only specific information revealed about the Turkish actor's role was that the character's name is Dmitri — which fueled speculation that Acar might be playing the very first super villain to face Spider-Man in the comics: the Chameleon, first appearing in Amazing Spider-Man #1. The villain's full name in the comics is Dmitri Smerdyakov, and he has the ability to appear as just about anyone he wants. If Acar is playing the Chameleon, he would make an interesting ally for Mysterio. A villain who can make any image appear paired with a man who can make himself appear as anyone he wants would have the potential of being a mind-boggling threat to any hero. It could also add weight to speculation that Spider-Man: Far from Home will give us the beginnings of the Sinister Six. However, Far from Home's cast list might inject some doubt. While Deadline reported Acar would be playing a character named "Dimitri," IMDb instead lists the actor as playing someone named "Magnum." Of course, it's possible that the name has been altered to deter spoilers, or that Acar's character's name really is Magnum and the Chameleon's secret identity has been changed for the big screen. Honestly, if Acar is playing Chameleon — Marvel's master of disguise — it would be more than fitting for no one to have any idea about his role until halfway through the movie. The cast of 2017's Spider-Man: Homecoming made Peter Parker's social orbit much more diverse than it was in early issues of Amazing Spider-Man. The changes didn't go unnoticed and some fans weren't happy, including those who sent death threats to Tony Revolori when he was cast as high school bully Flash Thompson. Fortunately, Marvel Studios didn't allow the complaints of the hateful to stop their commitment to diversity. 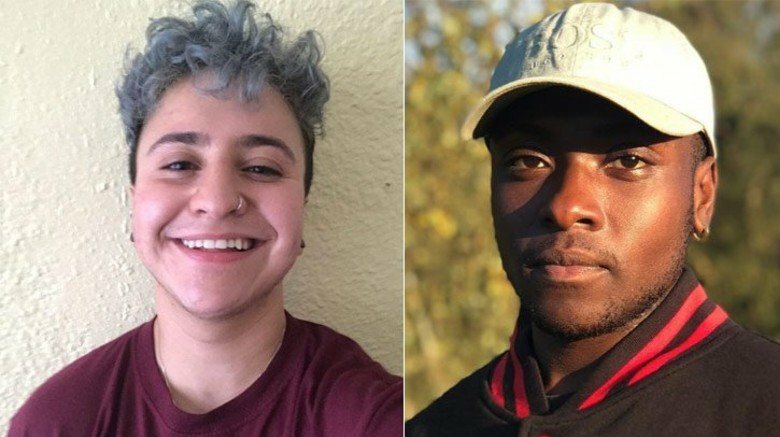 In January 2019 The Advocate reported Marvel had cast its first two out trans actors in Spider-Man: Far from Home. The news came to light on social media first, after Twitter user @infinitytony posted a picture of a Far from Home actress in what appeared to be a hijab and expressed excitement for the prospect of "a Muslim character who's more than just an extra." User @spideystights chimed in, pointing out that trans actors Zach Barack and Tyler Luke Cunningham had been cast. The Advocate reported that Barack will be playing one of Peter Parker's friends and Cunningham will appear as a "featured extra." One interesting thing to note is that Far from Home's IMDb cast list doesn't include a name for Barack's character. If it's Marvel's intention to keep Barack's role a secret for now, that could suggest his character is integral to the plot and/or is a fan favorite whose name comic book fans would recognize right away. In January 2019, we learned that Nick Fury won't be the only S.H.I.E.L.D. veteran returning to the MCU in Spider-Man: Far from Home. Shortly after the release of the first Far from Home teaser trailer, fans weren't sure whether Cobie Smulders was reprising her role as former S.H.I.E.L.D. Agent Maria Hill. A brief shot during the teaser showed a pair that could have been Hill and Fury being attacked by an Elemental, but at first no one was sure. Smulders wanted to set the record straight, so she posted a screenshot of herself and Samuel L. Jackson on Instagram. "It's me! It's me! I swear," Smulders wrote in the photo's caption. "[T]he one on the left…no not the monster…the one with the ponytail." Obviously, Smulders was joking about anyone confusing her with what appears to be a massive sand creature — though ironically the last time we saw Smulders as Maria Hill was in Avengers: Infinity War's post-credits scene when Hill and her old boss Fury were both "dusted" by Thanos' purge, so maybe fans could be forgiven if they assumed she was turned into another big cloud of dust. Early in November 2018, Marvel launched a clock counting down the 240 days until the July 2019 release of Spider-Man: Far from Home. 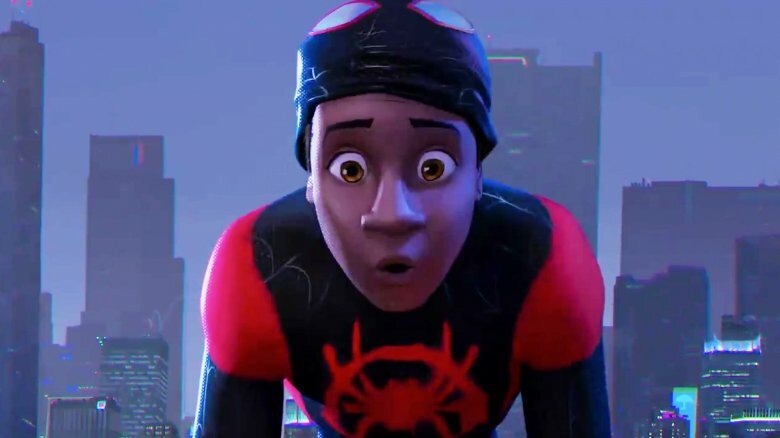 That specific number has fans speculating that Miles Morales — the version of Spider-Man featured in 2018's Spider-Man: Into the Spider-Verse – could be appearing in Far from Home. In November 2017 acclaimed writer and Miles Morales creator Brian Michael Bendis announced he was leaving Marvel to write exclusively for their Distinguished Competition, DC Comics. Bendis' last issue of Marvel's Spider-Man comic was released in the summer of 2018 and it included the message above the title, "Bendis' farewell to Miles." The number of that issue? It was Spider-Man #240, just as the countdown clock went up 240 days from Far from Home's release. That's far from a confirmation that Morales will be in Far from Home. It could just mean that Marvel Studios has become adept at figuring out which hints will get fans speculating, and planting them whether they have any bearing on the films or not. On the other hand, considering the undeniable success of Spider-Man: Into the Spider-Verse as well as the fact that a deleted Spider-Man: Homecoming scene mentioned Miles Morales, the notion of Morales appearing alongside Tom Holland's Peter Parker may be less a question of if than a question of when. In August 2018 TheWrap reported that Remy Hii — star of Crazy Rich Asians — had been cast in Spider-Man: Far from Home. While TheWrap told us he was cast, they didn't know who he was playing. As of March 2019, we still don't know; Far from Home's IMDb page has nothing for us but a blank space next to Hii's name. Fans have more than a couple of speculations about who Hii could be playing. On one hand, just about every noteworthy Spider-Man bad guy has been rumored to be appearing in Spider-Man: Far from Home at one point or another; with the exception of Vulture or Mysterio, Hii could be portraying just about any of them. 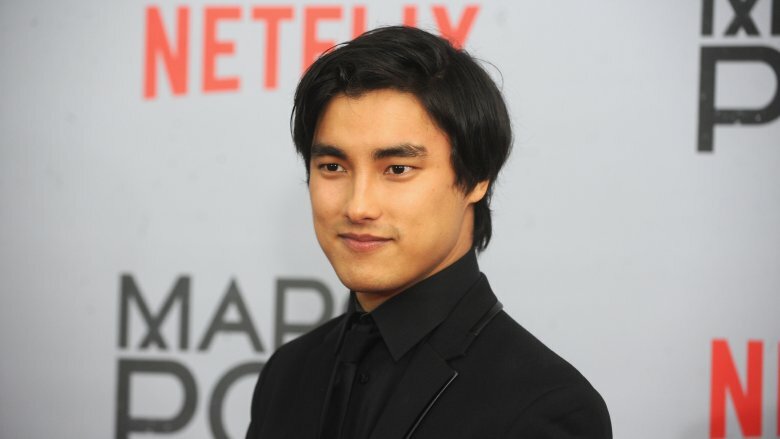 On the other hand; the Australian actor's Chinese ancestry, the martial arts training he received for his role in Netflix's Marco Polo, Far from Home's international scope, and reports of Marvel developing a film for Shang-Chi have all fed speculation that Spider-Man: Far from Home could see Remy Hii bringing him to the MCU. On the other other hand, Shang-Chi probably isn't included in Sony's Marvel character deal, so Marvel Studios might not debut an upcoming franchise character in a Sony co-production. But maybe Hii could be playing Martin Li, also known as the Spider-Man villain Mister Negative. While Far From Home already seems stuffed with villains, this film could set up Martin Li — family friend to Peter and May — to go dark in a future movie. 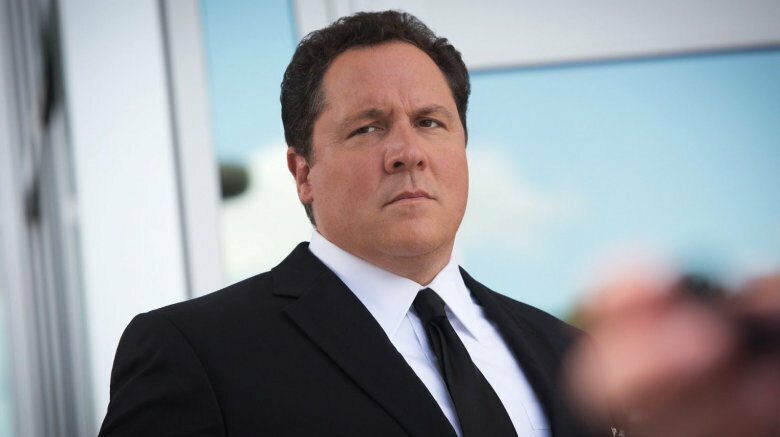 Throughout 2017's Spider-Man: Homecoming, every attempt by Peter Parker to contact Tony Stark or the Avengers was filtered through Stark's bodyguard/assistant Happy Hogan, portrayed by MCU veteran (both behind and in front of the camera) Jon Favreau. We missed out on seeing Happy in Avengers: Infinity War, so there was some question as to whether or not the guy whose favorite pastime was ignoring Peter Parker would be around for Far from Home. We got our first inkling that Happy was returning in September 2018, when a Reddit user going by the handle R1zzles posted a video that appeared to show Favreau on the set of Far from Home. The return of Happy was finally confirmed in January 2019 with the release of the first Spider-Man: Far from Home teaser trailer, which featured, among other things, Happy getting flirty with Aunt May (Marisa Tomei). It will be interesting to see how, if at all, Happy's new interest in Parker's aunt will affect the way he treats the young hero. September 2018 was a big month for rumors and spoilers for Spider-Man: Far from Home, but not everything panned out. 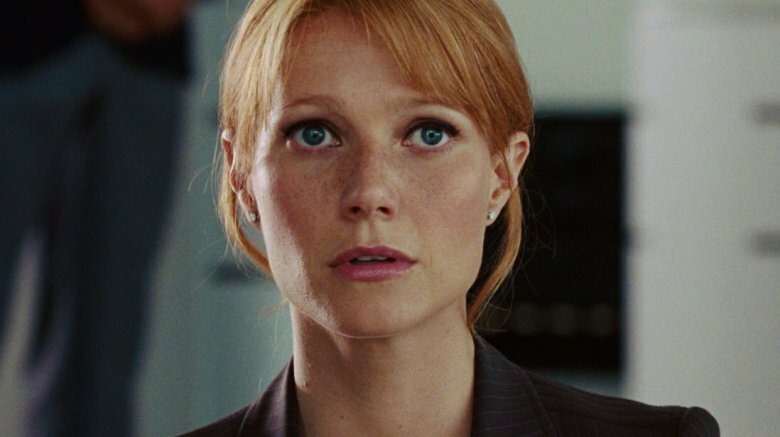 Along with the set video that leaked Jon Favreau, it was the month SuperBroMovies reported that Gwyneth Paltrow would appear in Far from Home as Pepper Potts. While Robert Downey Jr. and Jon Favreau had larger roles in Spider-Man: Homecoming, Paltrow appeared briefly in the film's final moments for the Spider-Man press conference that never happened. We've since learned the rumor of Pepper's return was a false one. In February 2019, Paltrow told Variety that Avengers: Endgame – set to release at the end of April, while Far from Home won't hit theaters until the beginning of July — will be her last film as part of the MCU, at least for the near future. "I mean, I'm a bit old to be in a suit and all that at this point," Paltrow told Variety. But she didn't discount a brief return at some point. Paltrow went on to say, "Of course, if they said, 'Can you come back for a day?,' I will always be there if they need me." While talking to i09 in June 2018, Marvel Studios president Kevin Feige revealed exactly why Peter Parker would be going overseas. At the same time, he hinted that the timeline between Avengers: Endgame and Spider-Man: Far from Home might be a little wonky. As to when the movie takes place, Feige said, "We know it's the summer. I think it's summer vacation… I don't know what summer… I mean, I do know [but you don't]." The comment helped fuel speculation that Far from Home might take place before the events of Infinity War, but we already know from producer Amy Pascal that the beginning of Far from Home will be set minutes after the end of Endgame. We also know that Nick Fury will be interrupting Parker's vacation to recruit him to help battle the looming inter-dimensional threat called the Elementals (presumably the massive giants made out of earth and fire in the Far from Home teaser), and apparently Spidey and Mysterio will be working together. At least at first. The tragic Gwen Stacy — the girl Peter Parker loved but couldn't save — was played by Bryce Dallas Howard in 2007's Spider-Man 3 and Emma Stone took up the mantle for the two Andrew Garfield Spidey films. With everything already going on in Spider-Man: Far from Home, it doesn't necessarily seem like the ideal fit for her introduction. 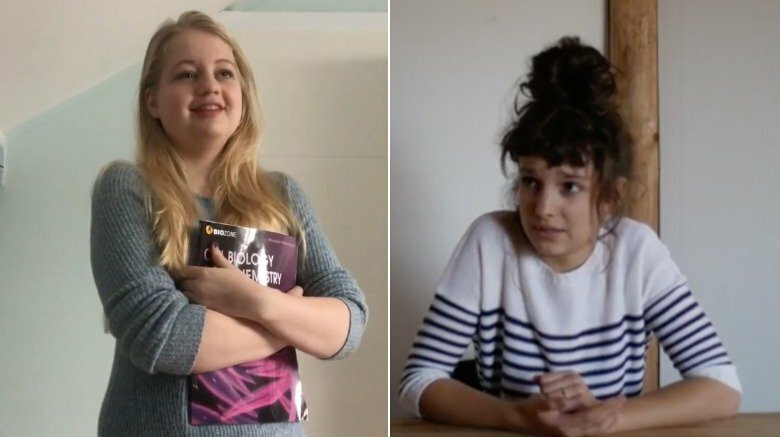 But ideal fit or not, in December 2017 a number of supposed audition tapes surfaced with different actresses claiming to be vying for the part of Gwen Stacy in the next Spider-Man movie. Iris Haller, whose only credited work is for the German soap opera Berlin Bohème, is one of the apparent hopefuls. Another introduces herself only as "Luna" and speaks with what appears to be a thick French accent. Since the tapes were leaked, there's been no word on Gwen Stacy appearing in Far from Home. Maybe the recordings were intentional red herrings, maybe they were fakes, or maybe Marvel has just been really, really good at distracting everyone from the Gwen Stacy question. Marvel and Sony released the official movie poster for Spider-Man: Far from Home in January 2019. The poster is unique among those for MCU films. Rather than prominently featuring the actors involved, Spider-Man's trademark mask dominates the poster. Stuck to his mask are luggage stickers from all over Europe, reflecting the global nature of the film. 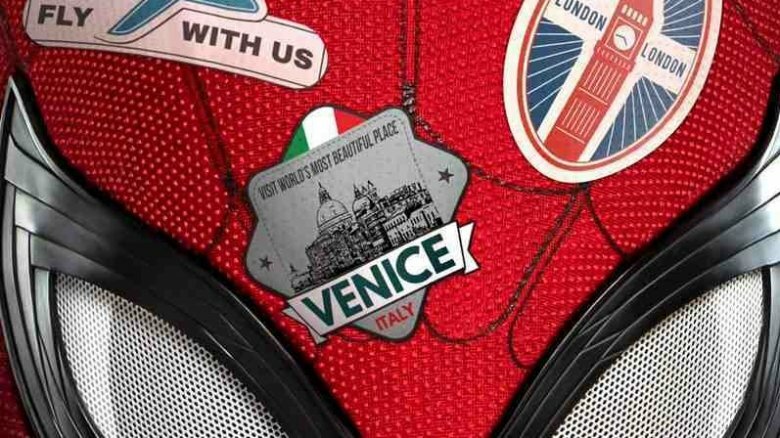 The stickers themselves also help to give the Far from Home poster a unique flavor in that they may include minor spoilers in the form of a map showing exactly where Spider-Man will be traveling in Far from Home. The picture includes stickers for New York and London, where we know Parker will be spending some time. Two Italy stickers are on the poster — one specifying Venice, which we've also seen in the teaser. If the stickers are to be believed, Spidey will also be visiting Prague, Berlin, and the Swiss Alps. You'd think after disintegrating into nothing on an alien planet a gazillion miles away, Pete would want to stay close to home for a while, but apparently not. 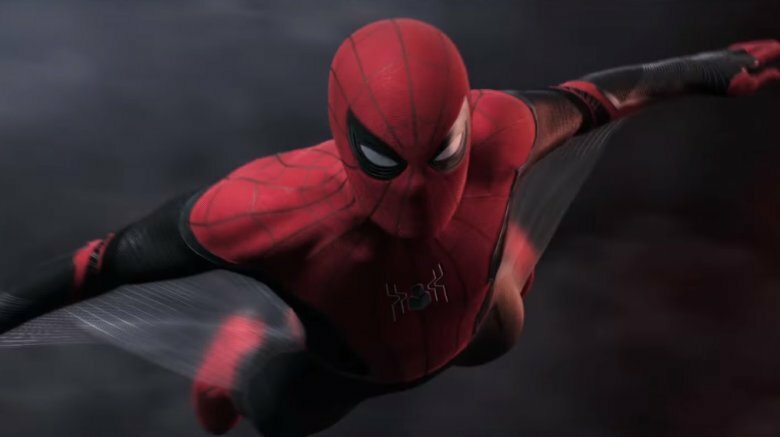 The first trailer for Spider-Man: Far from Home was supposed to drop in early December 2018 at Brazil's Comic Con Experience, but like the Avengers: Endgame trailer, it was delayed. A little over a month later in mid-January 2019, Marvel and Sony finally released the much-anticipated teaser. Whether it was because of anticipation fueled by the delay or an audience just ready no matter what for more Spidey stuff, when the trailer finally released, it drew a record number of views. We learned a lot in that two minutes and 46 seconds. Not only did we learn that Happy apparently has the hots for Aunt May, but considering we see May and Peter (in full Spidey uniform) high-fiving each other, we know May has apparently accepted her nephew's calling as a superhero. We saw a budding romance between Peter and MJ (Zendaya), Nick Fury recruiting Parker, a brief shot of Spidey's stealth suit and Mysterio trying to tell Spidey "you don't want any part of this." We also get a strong hint that the events of Avengers: Infinity War (and, likely, Endgame) have affected Peter's desire to be Spider-Man. As he's packing for his trip, Peter hesitates when he's about to pack his Spidey suit and ultimately opts to not bring it (presumably Fury brings him a new one). Could it be that Thanos' purge is making him question whether he wants to keep being a hero?